GUI Tools to gather hardware details on Ubuntu - Hardinfo is a system information and benchmark tool for Linux. 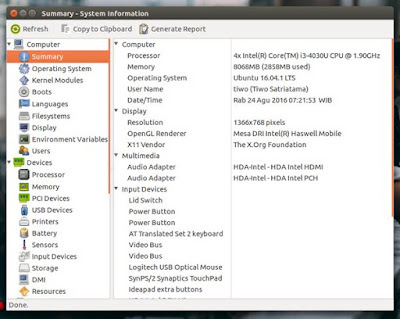 It shows detailed system info, including hardware, environment, and kernel. In the past, we have published some useful command line to get hardware specs, configuration, of various hadrware and peripherals. Read 18 Useful Commands to Get Hardware Information on Linux. The first section including your computer or notebook info, installed OS, kernel modules, Boots, Languages, File system, display info, environment variables, and users. You can easily check the hardware specs in this tab including Processor info, memory, PCI devices, USB devices, printers, battery, sensors, input devices, storage, DMU, and resources out here. As its name, the Network tab will help you to find interfaces, IP Connections, routing table, ARP table, DNS servers, statistics, and even shared directories. And the last categories in Benchmarks features. CPU blowsfish, CPU criptoHash, CPU fibonacci, CPU N-Queens, FPU FFT and FPU raytracing is ready to to use. 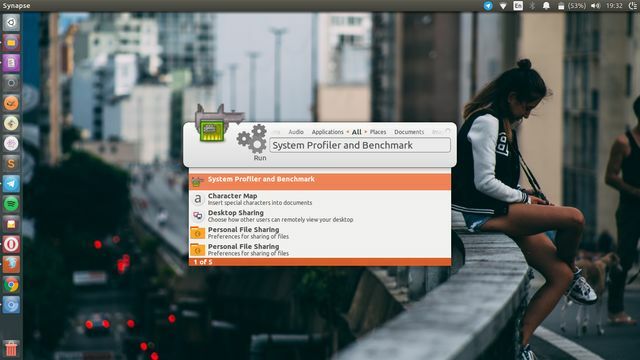 Step 3 - Once installed, you can now open the tools via Ubuntu dash. Type "system profiler and benchmark" without quotes or simply run hardinfo in the Linux terminal. Need or looking quick access way to launch any installed applications, open files e.g documents, picture, video and even run the command as shown? 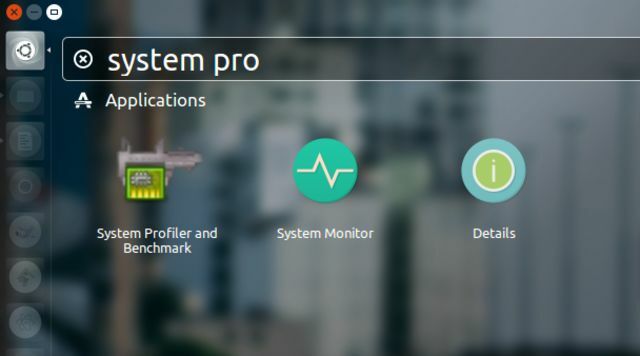 Read our post How to Install Synapse Launcher 0.2.10. So it's all I can write about Hardinfo, a GUI tools to gather hardware information on Ubuntu Linux and derivatives system. Thanks for visiting Linuxslaves!